We’re delighted to bring to you the very first installment of the GM Authority Future Product Guide series. For our first segment, we’ve outlined Buick’s plans for the next three model years in North America. Without further ado, enjoy the guide and share your opinion in the comments! Note: dates are in model years, which tend to precede calendar years by approximately a year. For instance, a vehicle may first debut in 2012 and then brought to market later in the same year as a 2013. TRIM LEVEL DISCONTINUATION LACROSSE REFRESH FULL-SIZE FLAGSHIP DEBUT? REGAL GS LAUNCH THREE-DOOR HATCH/GTC DEBUT? REGAL EASSIST LAUNCH VERANO & REGAL ENGINE UDPATES? Trim level discontinuation: all Buicks have dropped the CX, CXL, and CXS trim levels for the 2012 model year in favor of stair-step equipment groups. Verano launch: the compact Delta II-based Verano will have a starting price of $23,470. It will compete in a niche of its own in the premium compact segment: rather than focusing on performance and trying to beat the 3 Series (like all other vehicles in the compact luxury class attempt to do), the emphasis with the Verano is on a quiet, soft, and luxurious ride, with the Cadillac ATS taking on the compact performance angle (and the 3 Series). The Verano shares it platform with the Chevrolet Cruze but offers different engines, including the standard 2.4 liter LAF good for 177 horsepower and 170 lb.-ft. of torque. Fuel economy estimates are 22 MPG city and 31 MPG highway. A turbo-charged 2.0 liter and eAssist will make their debut in 2012, most likely for the 2013 model year. Verano Turbo debut (updated): the low-output variant of the turbo-charged 2.0 liter ECOTEC will make its way into the Verano, where we expect it to make 220 horsepower and 250 lb.-ft. of torque it will make 250 horsepower and 260 lb.-ft. of torque. LaCrosse Rolling Update: the 2012 LaCrosse will see several changes, the biggest of which is a $2,830 price jump and the discontinuation of CX, CXL, and CXS trim level in favor of stair-step equipment packages. Notably, the 2012 LaCrosse will also see new IntelliLink infotainment system. LaCrosse eAssist launch: for the 2012 model year, Buick has decided to replace the standard four-cylinder 2.4 liter engine with the eAssist mild-hybrid system. This means that the base engine is the eAssist-ed 2.4 liter four cylinder rated at 25 MPG in the city, 36 MPG on the highway, and 29 MPG combined. Read our first drive here. Regal GS launch: the Regal GS is making its way to showrooms this fall. Powered by a high-output 2.0 liter turbo ECOTEC engine that makes 270 horsepower and 295 lb.-ft. of torque, the model will serve as a halo car for the Regal line. Read our first drive here. Regal eAssist launch: the mild-hybrid system will make its way to the 2012 Regal, joining the eAssist-ed LaCrosse. The Regal with eAssist is rated at 25 MPG city, 36 MPG highway — the same as the larger LaCrosse with eAssist. But unlike the LaCrosse, the Regal will continue to offer the non-hybrid 2.4 liter ECOTEC as standard equipment. Regal wagon: the wagon version of the Regal (Opel Insignia) will most likely not see North American shores, but we hear that GM is strongly considering such a model for China. LaCrosse refresh: the Epsilon II-based sedan will get a comprehensive refresh for the 2013 model year, with new body work including a new front fascia, grille, hood, and rear fascia. It may also get the interactive drive control system from the Regal. Encore launch (updated): the sub-compact five-seat crossover, often referred to as “baby Enclave”, will hit the market for the 2013 model year. It will ride on a stretched version of GM’s Gamma global subcompact architecture called Gamma II Extended (or Gamma II Plus). Enclave refresh: the full-size Lambda-based crossover is expected to get a thorough refresh for the 2013 model year, with improved safety features (such as the front center airbag), a thorough redo of the interior, and the new IntelliLink infotainment system. The exterior is said to be “more sophisticated”, with more elegant contours than the outgoing model. More about the 2013 Enclave here. Verano eAssist debut (updated): the Verano should see the addition of the eAssist mild-hybrid system, sometime in 2014 or 2015. It’s possible that the compact sedan will see an approximate 15 percent increase in combined fuel economy. Verano hatchback launch (udpated): GM is considering bringing will bring a hatchback version of the Verano to the United States for the 2013 model year. The vehicle is already sold in China as the Excelle XT. Verano and Regal engine updates: expect to see the new 2.5 liter four-cylinder ECOTEC replace the loud and not-so-powerful 2.4 liter unit in the Verano and Regal. The 2.5 will make its debut in the 2013 Chevy Malibu, where it makes 12 percent more power and 16 percent more torque than the 2.4. That translates into 190 horsepower (up from 182) and 180 lb.-ft. of torque (up from 172). 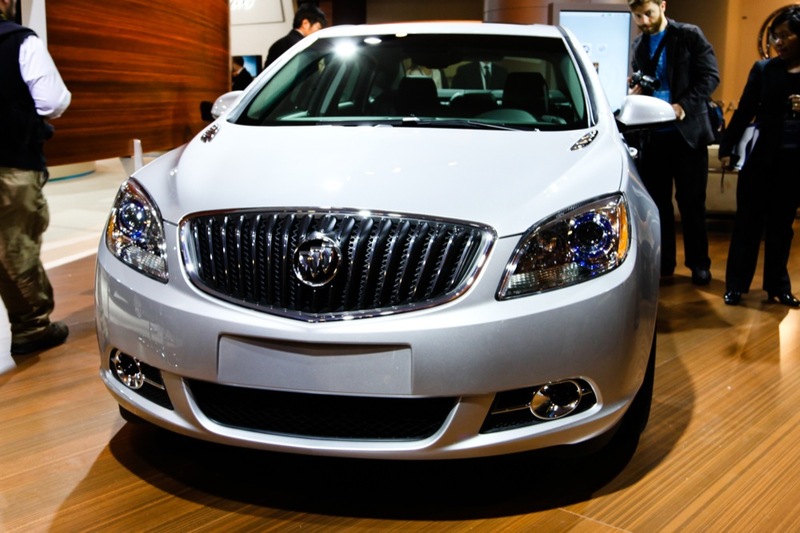 We expect the 2.5 to make its way to the Buick lineup for the 2013 or 2014 model years. Astra GTC (updated): Buick may or may not decide to bring the three-door Opel Astra GTC to U.S. shores. Based on the Delta platform of the Verano/Excelle sedan and hatch and Cruze, the vehicle was initially planned to be a Saturn Astra, but we all know how that turned out. Update: according to sources, the Astra has been green-lit to become a Buick. 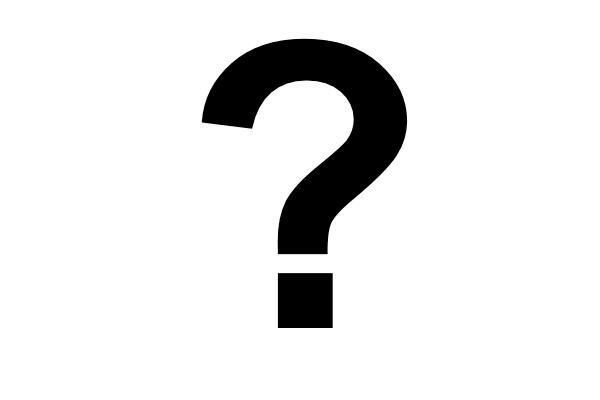 The name is unknown, but it’s possible that it will wear the Verano nameplate, with some sort of a specifying moniker. Compact/midsize CUV debut: Buick will get an all-new compact or mid-sized crossover based on an all-new platform. Not much is known about the vehicle as of this writing, but we’re told that styling will simply be unmatched by anything else in the industry. Full-size flagship: the 2014 model year is currently up in the air for the Tri-Shield brand. Depending on the sales performance of 2012 and 2013 model year vehicles, GM will make a decision to bring a full-size flagship sedan to North America. 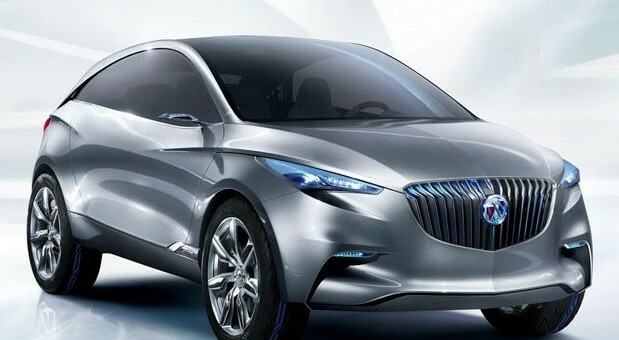 It has been rumored that Buick is working on bringing a full-size flagship sedan based on the larger variant of the Zeta platform to the United States. The vehicle in question is basically the Chinese-market Park Avenue. That’s one possibility. The other possibility, which is perhaps more likely, involves the Super-Epsilon platform that will underpin the Cadillac XTS and the next-generation Chevy Impala. Then there’s always the in-development RWD Omega platform that will serve as the basis for a “true” Cadillac flagship, but it will most likely not see the light of day until 2015 or 2016. The next three model years will be very important for Buick, as they will shape the direction of the brand for the long run. It will be very interesting to see how the respective lineups of Opel and Buick will change as the two brands become more alligned on a global level. Personally, it’s the last part that I find most exciting. Minor on-the-fly updates to configuration options, features, etc. Minor changes to the vehicle’s sheet metal, with most hanges including new grille, front and/or rear fascias, headlights, tail lights, hood, and fenders. All-around improvements and changes to exterior, interior, and mechanical components. The platform and overall body style remain unchanged. Re-engineer: platform, powertrains, and components receive extensive makeover as well as upgrades to improve ride, handling, braking, steering, fuel economy, safety. Redesign: extensive changes to the exterior and interior. May include a new body style. New platform, new interior and exterior. New or carried over engine and transmission. Model launch in the market place. This series is a very good idea though doing Buick is probably easier than tracking down all of chevys models. By the way arent the lambda trio planned to be redesigned 2013/14 not just refreseshed and I thought the Verano debut would be later this year. Thanks, mate! We’ll have the other brands coming in the near future! The Lambdas will get a refresh for the 2013 MY and will be redesigned in 2015, most likely for the 2016 MY. The Verano is launching in the next few weeks! wait so will they approve the Cadilambda? However, the Caddy variant will be significantly different from a mechanical perspective than the other Lambda models. Thanks JD, looks like I have some updating to do. I think whether the Enclave will have redesign or refresh will confuse current owners at this time considering many websites said either it will redesign or refresh. have you seen the baby buicks run around milford lately, they are looking good, also running in europe. I think that Astra should come to US as a Chevy, Buick shouldn’t have Opel’s entire lineup, I wonder how they’ll share those models in China. The first Lambda that needs to be refreshed/redesigned is Traverse. At that point, why not make a proper 3-door Cruze? PS: the Traverse is the newest of the Lambdas, so it’s likely that it will be last to see the redesign and re-engineering. Encore, get this vehicle in to production ASAP! Gamma? Delta? Make up your mind and let’s go! This is “the” vehicle that could re-invent Buick in NA. If done right, this could do for Buick what the CTS did for Cadillac. I echo the thoughts on the Encore. If it’s an SUV (really a crossover, but I never know whether we’re supposed to call it CUV, SUV or both), Americans buy SUVs, even if they are just tall wagons. The Enclave sold well, so will the Encore. I’ll be interested to see which Opel product/global platform gets cloned here as the new Buick. Alex, remember the Buick Rendezvous? It used to compete with the compact Lexus RX. The Cadillac SRX and the Buick Encore could both share the Theta-Premium Platform. 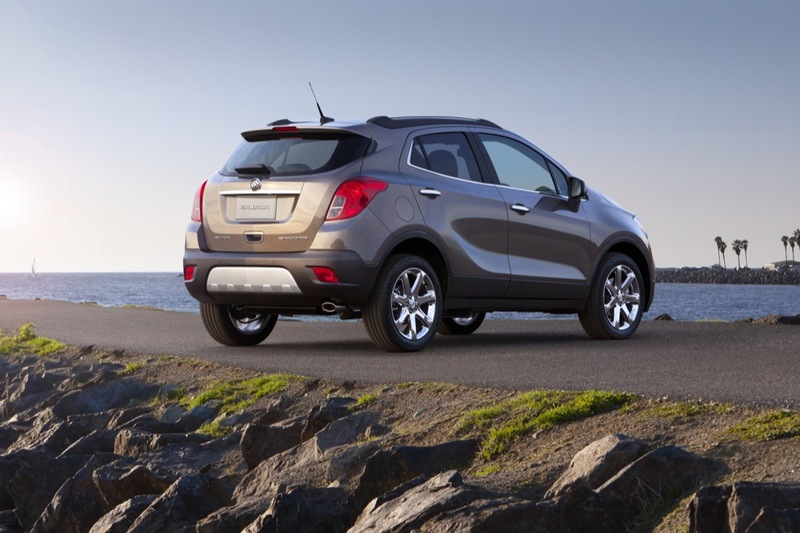 The Buick Encore could debut as the Buick Rendezvous, in my view. It’s certainly possible that the Encore would ride on the Theta Premium… but for some reason, I feel that it will be more of a compact offering; something the size of a Benz GLK rather than the midsized RX, SRX, X5, M/ML, and MDX. That said — and I have said this before — the SRX should have been a Buick. And Caddy should’ve had its own RWD crossover based on Sigma/Alpha. How about the original Theta? If you see the rear trunk space of the current Equinox is similar to the old Buick Rendezvous’ trunk. How about the original Theta? If you see the rear trunk space of the current Equinox is similar in size to the old Buick Rendezvous’ trunk. GLK is really a compact CUV, as is the X3, RDX, Q5. SRX, RX, ML, X5, MDX, etc. are all midsizers. A lot more room, wider tracks, more capable, etc. I kinda felt that if the Encore is on the Gamma platform it’s kinda too small. Maybe based on Delta? Epsilon? Yeah, I’m not a fan of using the Gamma for a premium vehicle. It’s possible to stretch it, since it’s a flexible architecture, but that would still result in a huge space between the Encore and the full-size Enclave. or maybe using SWB Lambda?? At that point, you’re getting into Theta territory… even though a SWB Lambda doesn’t exist. That said, there seem to be some big changes to the Lambda architecture for the Cadillac CUV, so anything’s possible. Wait so would the MY 2013 model for the Acadia be refresh or redesign? Since as what the article talks about Enclave maybe getting redesign and Acadia going on Theta. That would be more than a refresh, assuming that the Acadia follows the Enclave closely in its redesign. Both are also candidates to be called “re-engineered” — since they will undoubtedly get news engines and improvements to the platforms. So, redesign AND re-engineer. Do you think they might add a V8 for those who have a big family and/or tow a lot of heavy stuff? Since it is a redesign an they will be re-engineered? Probably not. The only V8s GM has are the LS series… and they’re just way too big, too heavy, and too inefficient for a family crossover (aka soccer mom car). The LS wouldn’t be appreciated in those cars, you know? And if anything, the Lambdas won’t get any bigger than they are not. Even so, in their current form, they can’t fit anything bigger than the 3.6. The Lambda is somewhat derived from the Epsilon… and no way an 8-banger is going to fit into one of those. in the future buick flagship sadan, I think they should put a ecotech small block terbo v6 engine. the same kind of engine in the 2013 chevy malibu but a v6. Then it won’t be an ECOTEC… or a small block! The two engine families are entirely different. I think what you’re suggesting is to use a V6 turbo in the Buick flagship – which may or may not happen. I don’t think it will matter much what kind of engine Buicks have as long as they get good MPGs. Leave performance for Cadillac and let Buick focus on smart luxury. I think the buick flagship should be a modle year 2015 and the caddy flagship should be a modle year 2016. I think there should be a 2.5 litter v6 or somthing in the buick flagship car. therfore it would be big and effecient and so it would meet the new cafe standerds. 2.5 V6 would just be too little. Yea it would seem a bit too small. I mean it could be possible… But a small engine doesn’t automatically result in increases efficiency. Look at the 3.0 LF1/LFW vs. 3.6 LFX. The LFX makes more power and is more efficient, even though it’s bigger. but then again where the heck is the TT engine like they said they’re gonna produce though?? Rumors says it’s on XTS but then all Cadillac debuted was just the LFX on that car though. Will be waiting anxiously for the new Encore. My husband has an Enclave which we love and I am waiting on a Buick model that fits me. I believe the Encore will be the one. I now drive a Cadilac crossover that is easy for me to get in and out of but it sure isn’t a Buick. I had a recall on my 2009 Traverse LT1 about timing chains. When did GM resolve issues with 3.6 engine, premature timing chain failures? Is there also timing chain issues with 2010, thru 2013 with th Buick LaCrosse 3.6 engine? Gary, you should try the GMA forum to ask the question. i think the next gen buick lacrosse should be about 202.0 inches long and wighing about 3400 lbs if possable and should be redisighd for 2016 or 2017 modle year. That would make the LaCrosse the flagship then, which I’ve no problem with… as long as the growth in the length department also results in a growth of the wheelbase, and not just the extension of the trunk area (ahem Impala, XTS). Personally, I just can’t get over that teensy rear door on both of those models as it relates to the trunk/length. So as long as there is an effort to increase the wheelbase — and thereby increase cabin space — I’m right there with you. it would be nice if thay could shad curb weights to under 3500 lbs on full-size sadans, i think 4000 lbs is just too heavy for the 2016 fuel econamy cafe. One thing to keep in mind when considering curb weights, however, is the added stability and “solidity” offered by a heavier vehicle… Especially at highway speeds. Alex, yes the added weight in Verano for instance does make it feel more premium and propably does make it ride nicer…..